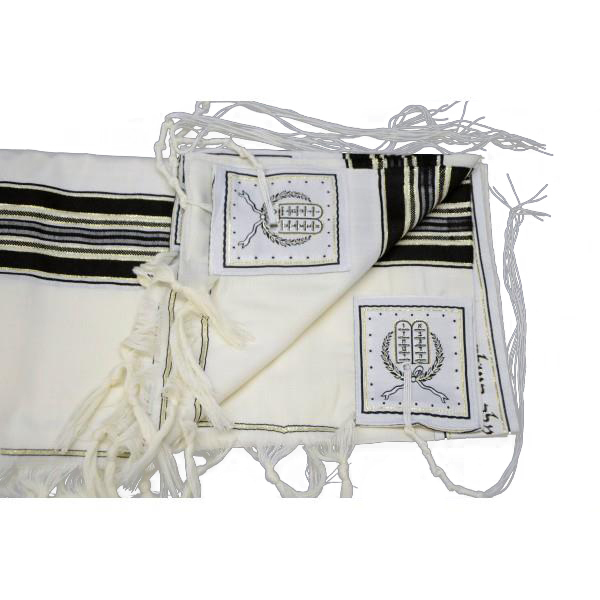 Mishkan Hatchelet has crafted this superb tallit prayer shawl with both the judaica collector and religious Jew in mind. It carries stripes of black and gold at either end, and the knotted fringes are completely kosher. It is sure to compliment any holiday outfit. 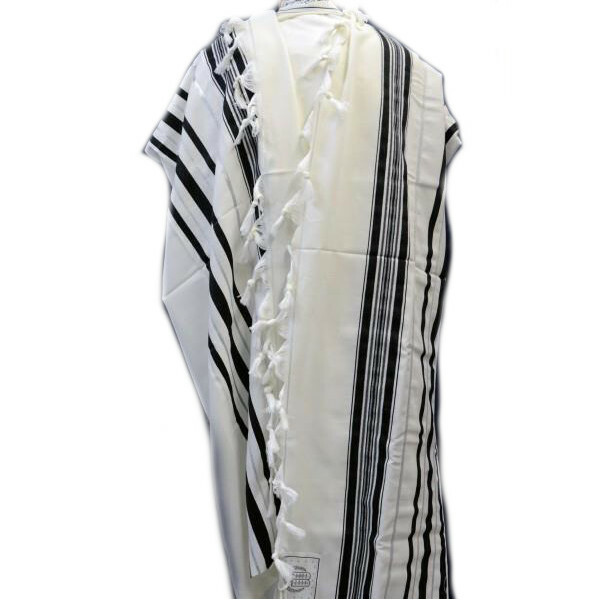 Since time immemorial the Jewish people have worn tallit prayer shawls during times of prayer. Recently these fringed scarves have become not just an expression of devout adherence to the Law, but also an expression of fashion. Mishkan Hatchelet have devised a number of fashion-forward judaica garments, and this gold and black tallis is a pride of their collection. 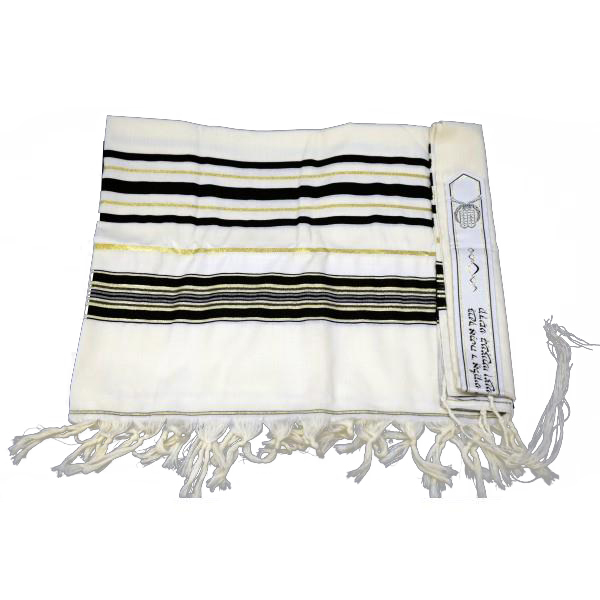 The body of the white scarf will feel light on your shoulder and the black and gold stripes will compliment most outfits worn to shul. 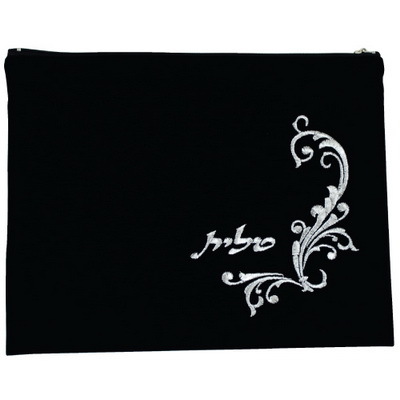 As tradition has come to dictate, the top edge of the scarf has a strip of fabric embroidered with the prayer for donning the shawl. The left and right edges gather the threads together into knotted fringes. Each corner has a longer fringe attached. The beauty of the coordinated colors will satisfy even your crazy collector cousin!